Doctor from St. Louis University School of Law. 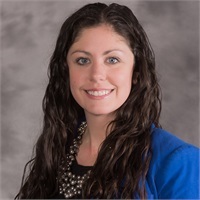 Abby is licensed to practice law in both Missouri and Illinois, and is a partner at The Hayes Law Firm, LLC where she works alongside her father, Tom, who has been practicing law in the St. Louis area for over 40 years. Whether you are starting off or are nearing retirement age, Abby is there to make the estate planning process easy to understand and to guide you through the process to create the best comprehensive plan to fit your needs. Abby is married to Tim and they live in Webster Groves with their two dogs. When Abby is not working on rehabbing her home, she loves to read, hike, and spend time with family and friends.